If you work for 50 years, you will spend 23.3% of your total amount of time engaged in the path you choose. That’s 21% of all of your waking hours, assuming you live to the average age of 76. That’s a lot of time. Do you know what you need to make your working life and your career happy? Here are my suggestions for maintaining personal happiness during your career. If you’ve been working for a large corporation in a sector you’re not invested in, maybe now is the time to capitalise on your entrepreneurial spirit and launch your big idea. Working for yourself can give you more personal satisfaction, and a semblance of control over your working life. My advice is to formulate a business plan surrounding your big idea, and jump in. If you truly like what you do, then you have more chance of longevity in terms of your career choices. You are also more likely to garner the respect of others if your passion shines through. Most importantly, you will have fun along the way. When you find the job, start-up, business idea or otherwise that fuels your passion, nurture it and learn from it. This way you’ll be happy and enjoy a fulfilling working life. Entrepreneurship and start-ups enable you to be in control. Rather than working for someone else and to their schedule, you get to set out the stakes. While starting a company can never be seen as the easy option, it can be seen as the option that puts you most in control. And that’s important for personal satisfaction. Flexibility and achieving success along with a work/life balance is something that can’t be underestimated for long term happiness. The moment you feel you know it all is the moment you start to fail. In order to keep your career moving forward with momentum, and particularly to make a success of your start-up or entrepreneurial idea, you need to always be open to learning. This includes learning from competitors, your employees, your partners and from other successes within your sector. Keep your eyes open and absorb everything you can. Whatever your personal strengths are, aligning your career and business with them is guaranteed to make you happier in the long run. If it’s networking, then make sure you’re the face of your brand. If it’s the technical and development side, then work with people who can fulfil the other pieces in your start-up jigsaw. Challenging and stretching yourself is important, but working in the sector or business area that you feel the most confidence in, is a surefire way to be happier in your work. 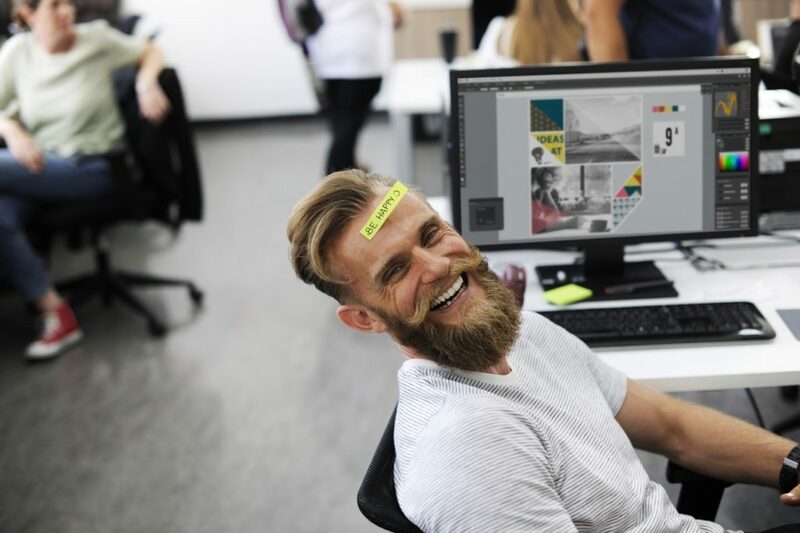 Whether you’re just starting out and are planning to take on your first employees, or you’re restructuring an existing business, create a strong, positive culture from the outset. A high-quality environment with an open and mutually respectful company culture will go a long way to day-to-day happiness. It also acts as a great motivator and is guaranteed to bring forth better results. People who enjoy their work take pride in it. If you’re managing other people, make sure you take the time to set up a long-term personal development programme that allows you to let your employees know that they’re valued. Investing in people is never a waste of money. People need to feel like more than a ‘cog in the machine’. Rather, every member of your company is a valued part of a team working together for a common goal. If you’re heading up a start-up based on your idea, make sure you still take the time to acknowledge the contributions of others. Valuing colleagues, peers and employees will reflect value back on you. Setting up your own business means that eventually you will be in a position to make a positive difference to other people’s lives. This could be your employees, your customers or the wider benefits your product or service brings. Making a tangible difference and acting as a force for good is a strong driver for workplace happiness.